In spite of the unique histories of slavery and persons of African descent in each of the six countries discussed in this book, certain themes recur. In a sense, this book is a study of the growth and demise of the sugar economy in many of these countries, along with that of coffee and tobacco. In most of these societies, a great deal of miscegenation and genetic admixture occurred between masters and their slaves, very early on in the history of slavery there. Several of these countries sponsored official immigration policies of "whitening," aiming to dilute the numbers of its citizens who were black or darker shades of brown by encouraging Europeans to migrate there. And speaking of skin color, each of these countries had (and continues to have) many categories of color and skin tone, ranging from as few as 12 in the Dominican Republic and 16 in Mexico to 134 in Brazil, making our use of octoroon and quadroon and mulatto pale by comparison. Latin American color categories can seem to an American as if they are on steroids. I realized as I encountered people who still employ these categories in everyday discussions about race in their society that it is extremely difficult for those of us in the United States to see the use of these categories as what they are, the social deconstruction of the binary opposition between "black" and "white," outside of the filter of the "one-drop rule," which we Americans have inherited from racist laws designed to retain the offspring of a white man and a black female slave as property of the slave's owner. Far too many of us as African Americans see the use of these terms as an attempt to "pass" for anything other than "black," rather than as historically and socially specific terms that people of color have invented and continue to employ to describe a complex reality larger than the terms black, white, and mulatto allow for. After extended periods of "whitening," many of these same societies then began periods of "browning," as I think of them, celebrating and embracing their transcultural or multicultural roots, declaring themselves unique precisely because of the extent of racial admixture among their citizens. (The abolition of "race" as an official category in the federal censuses of some of the countries I visited has made it extremely difficult for black minorities to demand their rights, as in Mexico and Peru.) The work of Jos� Vasconcelos in Mexico, Jean Price-Mars in Haiti, Gilberto Freyre in Brazil, and Fernando Ortiz in Cuba compose a sort of multicultural quartet, though each approached the subject from different, if related, vantage points. The theories of "browning" espoused by Vasconcelos, Freyre, and Ortiz, however, could be double-edged swords, both valorizing the black roots of their societies yet sometimes implicitly seeming to denigrate the status of black cultural artifacts and practices outside of an ideology of mestizaje, or hybridity. Henry Louis Gates Jr., Black in Latin America, (New York: New York University Press, 2011), 10-11. This is the first study of its kind to provide such a broadly comparative and in-depth analysis of children and empire. 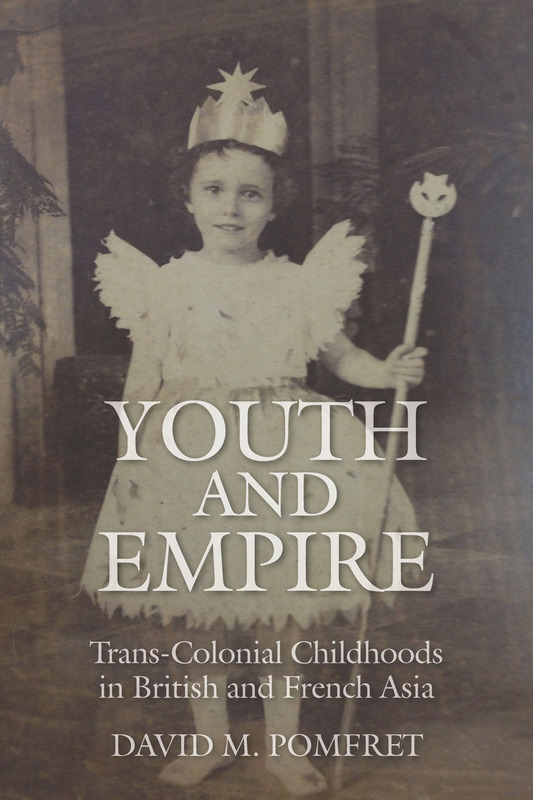 Youth and Empire brings to light new research and new interpretations on two relatively neglected fields of study: the history of imperialism in East and South East Asia and, more pointedly, the influence of childhood—and children’s voices—on modern empires. By utilizing a diverse range of unpublished source materials drawn from three different continents, David M. Pomfret examines the emergence of children and childhood as a central historical force in the global history of empire in the late nineteenth and twentieth centuries. This book is unusual in its scope, extending across the two empires of Britain and France and to points of intense impact in “tropical” places where indigenous, immigrant, and foreign cultures mixed: Hong Kong, Singapore, Saigon, and Hanoi. It thereby shows how childhood was crucial to definitions of race, and thus European authority, in these parts of the world. By examining the various contradictory and overlapping meanings of childhood in colonial Asia, Pomfret is able to provide new and often surprising readings of a set of problems that continue to trouble our contemporary world. And according to the numbers, this is also a growing trend in our marriages and families. Around 20 per cent of marriages in Singapore in 2014 were inter-ethnic, in other words, between individuals of different races. This is up from 13 per cent a decade ago. Meet three mixed race Singaporean families, and hear their stories of when different cultures and traditions meet, and how they celebrate their diverse backgrounds…. “Mixed race” is becoming an important area for research, and there is a growing body of work in the North American and British contexts. However, understandings and experiences of “mixed race” across different countries and regions are not often explored in significant depth. New Zealand and Singapore provide important contexts for investigation, as two multicultural, yet structurally divergent, societies. Within these two countries, “mixed race” describes a particularly interesting label for individuals of mixed Chinese and European parentage. This book explores the concept of “mixed race” for people of mixed Chinese and European descent, looking at how being Chinese and/or European can mean many different things in different contexts. By looking at different communities in Singapore and New Zealand, it investigates how individuals of mixed heritage fit into or are excluded from these communities. Increasingly, individuals of mixed ancestry are opting to identify outside of traditionally defined racial categories, posing a challenge to systems of racial classification, and to sociological understandings of “race”. As case studies, Singapore and New Zealand provide key examples of the complex relationship between state categorization and individual identities. The book explores the divergences between identity and classification, and the ways in which identity labels affect experiences of “mixed race” in everyday life. Personal stories reveal the creative and flexible ways in which people cross boundaries, and the everyday negotiations between classification, heritage, experience, and nation in defining identity. The study is based on qualitative research, including in-depth interviews with people of mixed heritage in both countries. 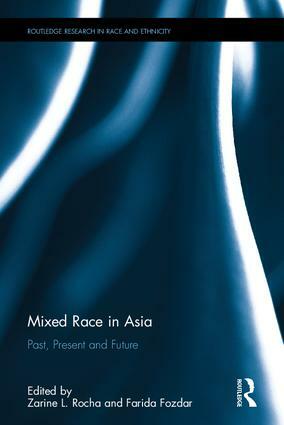 This edited volume seeks to focus attention on the neglected topic of “mixed race” in the Asian region. “Mixed race” identities have been the subject of growing scholarly interest over the past two decades. In multicultural societies, increasing numbers of people of mixed ancestry are identifying themselves outside of traditional racial categories, challenging systems of racial classification and sociological understandings of “race”. There is a growing body of work emerging in the North American and British contexts. However, understandings and experiences of “mixed race” across different national contexts have not been explored in significant depth. Increasing research is being undertaken in the Australian/Pacific region, but research on “mixed race” in Asia has lagged behind. The proposed volume expands the field of research to include the Asian region. It explores these dilemmas through a series of case studies from around Asia, a region unique in its diversity of cultures, ethnicities, languages and histories. In many countries in Asia, racial, ethnic and cultural mixing has a long and fascinating history, and narratives around “mixed race” have developed in vastly different ways. From established identities such as Anglo-Indians in India, to Eurasians in Singapore and Peranakan identity in Southeast Asia, to newer ones like Hafus in Japan, individuals of mixed heritage have diverse experiences across the region. These experiences have been shaped by a range of political contexts and levels of acceptance. This volume seeks to draw out these experiences, as well as the social and structural factors affecting mixedness both historically and today. The proposed book will be edited by Associate Professor Farida Fozdar (University of Western Australia) and Dr Zarine Rocha (National University of Singapore). It will include an introduction written by the editors surveying the current condition of the field of scholarship in the region, putting this in an international context. This will be followed by up to 15 chapters of original research by a selection of senior, mid and early career researchers across a range of disciplines. We particularly welcome contributions addressing “mixed race” in India, Pakistan, Sri Lanka, Cambodia, Vietnam, Laos, Myanmar, Indonesia, Korea, Japan, the Philippines and Tibet. Please send your abstracts (150-200 words) and bio (50-100 words) to: Dr Zarine L. Rocha at z.l.rocha@ajss.sg. Racial categorization is important in everyday interactions and state organization in Singapore. Increasingly, the idea of ‘mixed race’ and new conceptions of mixedness are challenging such classification along racial lines. Although contemporary Singapore is extremely diverse, the underlying ideology of multiracialism remains grounded in distinctly racialized groups, leaving little space for more complex individual identities. This paper explores the identifications of individuals of mixed Chinese and European descent in the Singaporean context, looking at how complexity is lived within firmly racialized structures. Drawing on a series of 20 narrative interviews, this research examines the relationship between categorization and identity, focusing on the identities of individuals with multiple national, cultural and ethnic ties. The practical impacts of racial categorization shape many aspects of life in Singapore, and individuals of mixed descent illustrated a constant tension between official categorization and personal mixedness, seen in the frustrations experienced and strategies developed by individuals around race and belonging. Individuals negotiated their connections around race and nationality both in practical terms around language, social policies and culture, and personally in terms of symbolic feelings of connection. “Mixed race” identities are increasingly important for academics and policy makers around the world. In many multicultural societies, individuals of mixed ancestry are identifying outside of traditional racial categories, posing a challenge to systems of racial classification, and to sociological understandings of race. Singapore and New Zealand illustrate the complex relationship between state categorization and individual identities. Both countries are diverse, with high rates of intermarriage, and a legacy of colonial racial organization. However, New Zealand’s emphasis on voluntary, fluid ethnic identity and Singapore’s fixed four-race framework provide key points of contrast. Each represents the opposite end of the spectrum in addressing “mixed race”: multiple ethnic options have been recognized in New Zealand for several decades, while symbolic recognition is now being implemented in Singapore. This research explores histories of racial formation in New Zealand and Singapore, focusing on narratives of racial formation. The project examines two simultaneous processes: how individuals of mixed heritage negotiate identities within a racially structured framework, and why—how racial classification has affected this over time. Using a narrative lens, state-level narratives of racial formation are juxtaposed with individual narratives of identity. “Mixedness” is then approached from a different angle, moving away from classifications of identity, towards a characterization of narratives of reinforcement, accommodation, transcendence and subversion. Drawing on a series of 40 interviews, this research found similarities and differences across the two contexts. In Singapore, against a racialized framework with significant material consequences, top-down changes sought to symbolically acknowledge mixedness, without upsetting the multiracial balance. In New Zealand, state efforts to remove “race” from public discourse allow ethnicity to be understood more flexibly, yet this has not always translated easily to everyday life. For individuals in Singapore, narratives were shaped by a racialized background, as they located themselves within pervasive racial structures. In New Zealand, stories were positioned against a dual narrative of fluidity and racialization, reflected in narratives that embraced ambiguity while referring back to racialized categories. The four narrative characterizations illustrated the diversity of stories within each context, yet highlighted certain patterns. Narratives of transcendence were present in both countries, illustrating how historical racialization can be rejected. Narratives of accommodation were more common in New Zealand, as the dissonance between public and private understandings of mixedness was less stark. Narratives of reinforcement were more frequently seen in Singapore, mirroring colonial/post-colonial projects of racial formation in which personal stories were located. Narratives of subversion were present in both countries, but were more common in New Zealand, where subversion required less conscious effort. Overall, this research drew out how identity can diverge from official classification, as individuals worked to navigate difference at an everyday level. 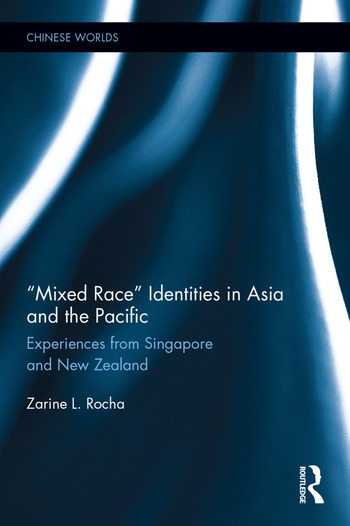 State acknowledgements of mixedness served to highlight the continued dissonance between fluid identities and fixed racial categories, as well as the unique balance of racialized choice and constraint in Singapore and in New Zealand. Personal narratives revealed the creative ways in which people crossed boundaries, and the everyday negotiations between classification, heritage, and experience in living mixed identities. I am baffled by Mr Peter Wadeley’s letter (“S’porean identity must include mixed-race kids“; March 16). What he is calling for already exists – that is, Eurasians, who are one of Singapore’s four main racial groups. MRS MARIETTA Koh Ai-meng (“Citizens have every right to expect privileges”; last Saturday) claims that rising consciousness of what it means to be Singaporean should not be decried as chauvinistic or jingoistic. Last year, former president S R Nathan said that a clear Singaporean identity has yet to develop (“Building a S’porean culture takes time, says ex-president”; March 18, 2012). Whenever such an identity is formed, it must be broad enough to include all Singaporeans, without distinction of race. My children are Singaporean, have lived here their whole lives, and speak Singlish and Chinese. Most importantly, they identify themselves as Singaporean.